Augmented Reality (AR) has been around for a long time, but it has yet to really find a local role in a major vender. That has changed. IKEA has a new app that work on both iOS and Android that will allow you check out various IKEA furniture as it would look in your place. 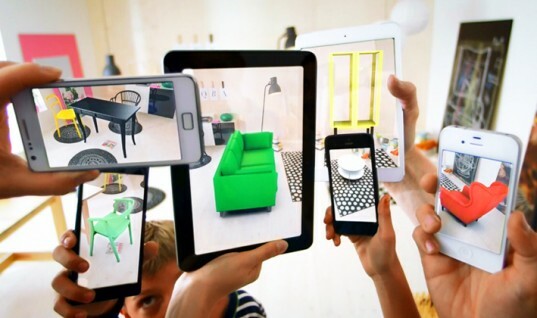 With the proliferation of tablets, you can now point your camera enabled device, placing the 2014 store catalog on the floor and voila, you are walking around your place with couch, rug or what have you in 3D. Nice. This make total sense. Its not actuate enough to replace good old fashion measuring to be sure something is going to fix, but now you can look at colors, shapes and get an idea of how something will or will not fix. To make this really take off, they need to demo this in every IKEA across the nation. Next step? Step by step instructions on how to put those thing together.